Smart Encryptor is a powerful encryption program which uses a strong encryption, AES algorithm (an algorithm followed by the US Government Standard) and Blowfish. You can encrypt all your files and folders directly from your Windows Explorer itself. You need to just right-click on the item you wish to encrypt. It sends files over the internet safely and creates self-decrypting executables. Smart Encryptor especially designed for Windows XP users, so the modern OS users like Windows 8 and 7 have to wait till the program gets novel. This tool offers ultimate protection when you are sending your important files to others via e-mail. The program is completely free to download and use. The user interface of Smart Encryptor is very simple and the process involved in encrypting is quite easy to perform. 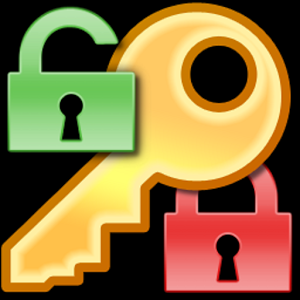 It provides two tabs – one for Encrypting and the other for Decrypting. You can use drag and drop to add files or folders and save encrypted file as .SME. You have to enter the password to secure file encryption. It offers options to wipe source file and create self-extracting files. Hit the “Encrypt” button to start encrypting all the added files. In ‘Advanced Settings’, you can either of the two encryption methods – AES and Blowfish. You can select the ‘Shredding method’ i.e. US Department of Defence, US National Security Agency or Custom method. In ‘Custom’ method, you can overwrite files with zero, one or random characters. Encryption process is easy to operate with intuitive user interface. Encrypt your significant files or folders directly from Windows Explorer with just a right-click on the desired file or folder. You can select any of two advanced encryption algorithms – AES or Blowfish. Stores all your private files and folders in one archive maintaining the folder hierarchy. Send encrypted files to others using ‘Self-decrypting executables’. Self Extracting Archive – Sends your encrypted data to others along with the software to automatically decrypt it. Thus, the recipient need not required to have Smart Encryptor installed on their systems. Optionally wipe the source files. Option to shred the original file after it has been enciphered. There are several advanced encryption methods available in the market, but most of them are not effective. As Smart Encryptor is employed with two powerful encryption algorithms that are followed by US government standard, the files and folders are completely secure when sending via e-mail. For Windows XP users, this can be a great tool for sending their files to others without data loss.